Sometimes simple tools and ideas are the best ones. CPOs need to realize they can have an influence on the FTC decision. 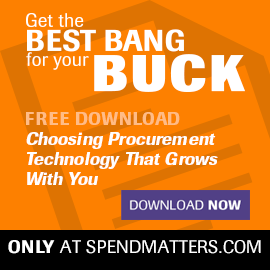 Shouldn’t procurement be more than just an internal service provider? If you’re going to implement the perfect order metric, think about broader performance measurement and how robust your processes and systems are. While a heavily a heavily logistics-oriented KPI, this metric has a great deal of relevance to procurement.